Recent discoveries have significantly enhanced our understanding of the biology of pediatric central nervous system tumors. Molecularly defined targeted therapies are now being used to treat subgroups of these tumors, mostly in the setting of clinical trials. These therapies include targeted inhibition of smoothened to treat sonic hedgehog medulloblastoma; of mammalian target of rapamycin to treat subependymal giant cell astrocytoma; and of the mitogen-activated protein kinase pathway to treat BRAF V600E-mutated low-grade and high-grade gliomas, KIAA1549:BRAF fusion-positive pilocytic astrocytoma, and plexiform neurofibroma. 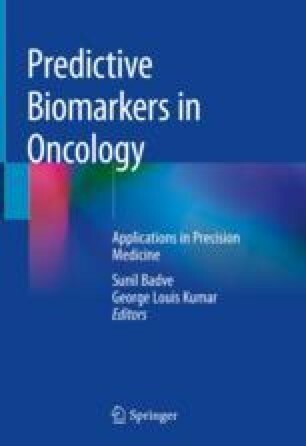 For many patients, the use of these targeted therapies has resulted in significant regression and/or improved control of their tumors, including tumors that are recurrent or refractory to conventional therapy. Berard CL. Study of vismodegib in combination with temozolomide versus temozolomide alone in patients with medulloblastomas with an activation of the sonic hedgehog pathway. In: ClinicalTrials.gov [Internet]. Bethesda: National Library of Medicine (US). 2000 [cited 2017 Jan 1]. Available from: https://clinicaltrials.gov/ct2/show/NCT01601184: NCT01601184. St. Jude Children’s Research Hospital. A clinical and molecular risk-directed therapy for newly diagnosed medulloblastoma. In: ClinicalTrials.gov [Internet]. Bethesda: National Library of Medicine (US). 2000 [cited 2017 Jan 1]. Available from: https://clinicaltrials.gov/ct2/show/NCT01878617:NCT01878617.